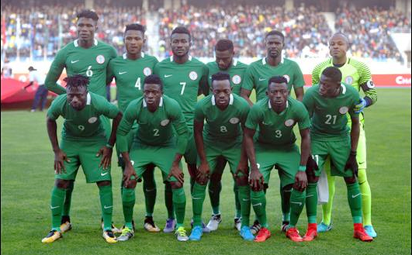 What is your take on the two friendly matches the Eagles played against Poland and Serbia? We have to be very realistic about this team. It is a team in progress, and fortunately, we were able to qualify for the World Cup. If you look at that team, you look at the whole set up, in the past eight years or so, we have had very poor teams. Now this a new team with young players with a few experienced ones, may be two or three. Basically, it is a very young team. If you look at that team, progressively since the new man took over you can see that now they run better’ they are physically much netter tthat what they were a few years back, they play much better with the ball now but off the ball they are not good yet, but they will get there. Now this team is going to the World Cup, as a team in progress and if all goes well and they do well and go past the first round, I will give it to them. I will give them all the kudos. Let them just give a good account of themselves, and build from there up to the next four years into the next World Cup. All that nonsense that people are talking about the team getting to the semi-final of the World Cup is the typical Nigerian soccer jargon. We don’t have what it takes yet. We need to look at things objectively because the team has what it takes for the future; not now. From these two friendlies, what I saw, the Serbians beat us 2-0, it is not the end of the world, it’s part of the exposure and it’s a team in progress. Serbia is a very good side, they have more players playing in top European leagues and, in that match, they were technically superior. Even Poland is a very good side. Let them(the Eagles) keep doing what they are doing and remain focused. If they go past the first round in the World Cup and go into the second round, then they would have done very well. I don’t expect too much from them. I cannot say because they lost to Serbia they are not good enough, no. They are good for the future. From what you saw, which department of the team would you say is still lagging? Like I told you before, they are good with the ball but not good off the ball. And that is because, as Africans, our players are not exposed to the basics of the game at a very early age. You can’t force people to do what they are not used to. So when it comes to the physicality of the game, which we are known for, we are back there again but off the ball we are not good. The Serbians were able to do those technical stuff off the ball and take advantage of us. The Serbian team was better than the Polish team, the Serbians were able to expose us. But that does not mean the end of the world. We have to go back and work on it. It is part of the experience they will gain over time. You talked about our players not being exposed to the technicalities of the game at early age. But most of the current Eagles were children of Nigerian emigrants born and brought up abroad through the football academies culture. Are all of them emigrants children? Aren’t some of them born and brought up in Nigeria? The emigrants children as you call them, how many of them are playing top level football? Okay let’s say they are some who were trained abroad, there are still those who were brought up here in Nigeria, who don’t have it. So when you have a mixture of that you have to look at the percentages. The bottom line is most of those players don’t play top level football. You have just a few of them and you cannot compare them to the Serbians who have players that play in top clubs. The onus is on us to have a policy and a system that will expose our players to such training at an early age and have a league as well; top quality league to expose these players. We are having problems with our players because of the sub-standard league we are running. We have a very poor league. The thing is that we run away from the truth. In anything you do, the fundamentals are very important. But one way or the other we manage to go about things differently, believing that we can play football. You can’t run away from the basics. We have to do those things that are essential in the development of our football. If you were asked to evaluate coach Gernot Rohr’s performance so far, what percentage would you give him, on a scale of 1-10? I will give him 7. I think he has done above average. For now, I will give him 7. Do you expect to see any home-based Super Eagles player on the Russia-bound plane for the World Cup? I don’t know. I’m sorry to say, because I just mentioned it to you that our league is a mess. Even that goalkeeper(Ikechukwu Ezenwa) that comes from the league and mans the Eagles goalpost hasn’t got the exposure. He is very crude. Modern football demands that as a goalkeeper, once you get the ball you are supposed to pass the ball to defenders and move. He doesn’t do that. The guy hasn’t got it. So you would prefer this young keeper (Francis Uzoho) who has manned the post between Nigeria and Poland and Nigeria versus Serbia? I don’t know, that is up to the coach but I think that boy(Uzoho) is more civilised than that goalkeeper we have; I’m sorry to say. The final decision rests with the coach, he should make the choice. But I will rather have a more civilised goalkeeper that is exposed and technically sound than that young man. The post Uzoho better than Ezenwa — Kojo appeared first on Vanguard News.